24 Commando is now a hybrid regiment consisting of a Regimental Headquarters and 3 field squadrons. 54 Commando Squadron and 59 Commando Squadron are Regular sub-units based in Chivenor, North Devon, whilst 131 Commando Squadron is an Army Reserve sub-unit with field troops in Plymouth , Birmingham and Bath , and its Squadron Headquarters and Support Troop in London . The Regiment is responsible for all engineer tasks in the 3 Commando Brigade forward area. This includes route maintenance, bridging, water supply, electricity supply construction of field defences and structures, demolition tasks and mine clearance. As well as possessing a large number of skilled craftsmen, the Regiment also has a variety of plant machinery and other equipment. This gives the Unit the capability to tackle almost any form of construction or demolition. Additionally, the Regiment also has a diving team, trained to conduct sub-surface engineering tasks as well as survey rivers and beaches in order to identify their suitability for bridging. The Unit is trained to operate everywhere in support of 3 Commando Brigade. This means regular Arctic training as well as jungle and desert climates focusing on amphibious operations. Essentially the Regiment allows the Brigade to five fight and move. 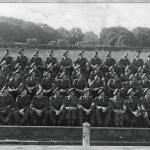 59 Independent Commando Squadron was originally formed at Chatham in 1900 as 59 Field Company. 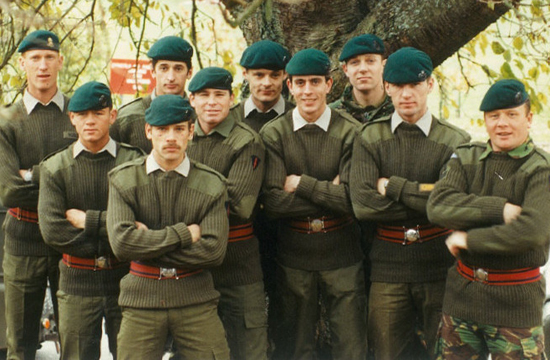 It served with the Brigade in the Far East as 59 Field Squadron before reforming in Plymouth in 1971 as 59 Independent Commando Squadron. This Squadron includes a reconnaissance troop, a support troop, a signals troop a motor transport section, a resource cell, a training team and a construction supervision cell. 59 consists of 3 field troops and a support troop. This Squadron is a specialist sub-unit of the Army Reserve, and is the Reserve squadron of 24 Commando Engineer Regiment. The Squadron frequently deploys on tasks with or to support the Regular Forces in both the UK and abroad. In recent years the Squadron deployed personnel to Iraq, Afghanistan, Oman, USA, Norway, France, Malawi, the Falkland Islands, Romania and Egypt on exercises and training with 3 Commando Brigade units. 24 Commando Engineers training - Following a preparation course, 24 Cdo. personnel undergo the All Arms Commando Course, on successfully completion of which they are able to wear the coveted green beret.